Rep. Rashida Tlaib, D-Michigan, smiles following a group photo with the women in the House of Representatives on Capitol Hill in Washington Friday during the opening session of the 116th Congress. Republicans warned that Democrats would move to impeach President Donald Trump if they gained control of the House. And right on cue, a few hours after the new majority took power, freshman Rep. Rashida Tlaib, D-Michigan, told a cheering crowd that the House was going to “impeach the m—————-.” This was such good news for Trump that you could almost see him excitedly tenting his fingers, muttering “excellent” in his best Monty Burns voice. Democrats and some of their friends in “never Trump” land loathe the president. Some hate him so much that they wanted him impeached as soon as he took office. Every step of the way, they have been tempted by every tale of misdeed and treason that could be tortured from the available facts. Now they eagerly await special counsel Robert Mueller’s report, hopeful that it will contain the proof that would justify what they’ve wanted to do right from the start. The majority of Americans, however, are in a much different place. CNN’s 2018 exit poll found that 56 percent of midterm voters opposed impeachment (with 39 percent in support). Other polls conducted after the Democrats’ resounding midterm election victory found that about a third of Americans want to impeach Trump, with a majority opposed. Since Democrats won 53 percent of the House vote, that means, at best, that 1 in 4 people who voted for Democrats in the House do not support impeaching Trump. This likely includes the vast bulk of former Republicans whose party switching gave Democrats the majority. These people clearly do not like Trump. But they also respect the customs that have made impeachment an option for use only in clearly extraordinary circumstances. Political differences, they think, should be dealt with at election time, not by impeachment. Trump needs to attract some of these voters back to his camp, and an obviously politically motivated impeachment drive is one of the things that could do that. Indeed, Trump has already tweeted about this and surely would continue to drive the point home should the effort pick up steam. Casting him in the role of unjustly accused victim would surely rally and inflame his base while proving persuasive to a good number of people who are not dyed-in-the-wool progressives. Progressives should remember that Trump did not win because a majority wanted him; he won because millions of people who didn’t like either candidate voted for him as the lesser of two evils. These “reluctant Trump” voters constituted about 18 percent of his national vote and well over 20 percent of his support in the key Midwestern swing states that carried him to triumph. Following through on a weak impeachment claim could be just the thing to remind these voters what they don’t like about Democrats and bring them, again reluctantly, back into Trump’s camp. The progressive hungering for impeachment could also impact the 2020 Democratic nomination race. One post-election poll showed that 61 percent of Democrats back impeachment. And a December poll for CNN found a whopping 80 percent of Democrats favor impeachment even as it found a majority of Americans opposed. It will be extremely hard for a Democratic candidate to resist these numbers, but backing impeachment could cost that nominee support from the same people who could make him or her president. Trump has long portrayed the Mueller investigation and efforts to remove him from office as a political witch hunt. The best thing that could happen to him is for House Democrats to try to impeach him based on evidence that American swing voters find unconvincing. 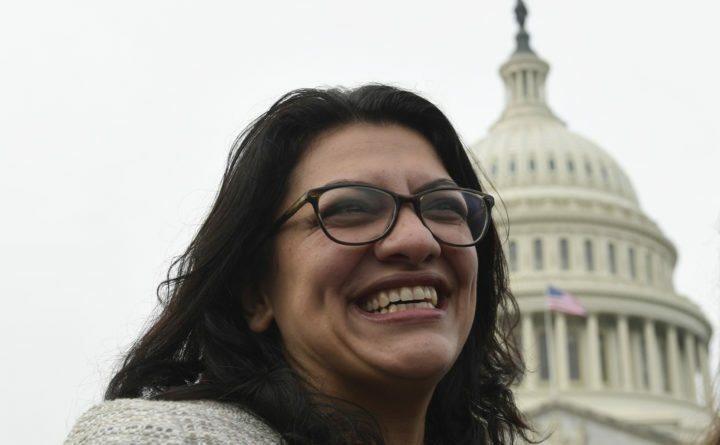 Tlaib surely detests the president, but moving toward impeachment on the evidence we have now would surely make her one of Trump’s best friends.